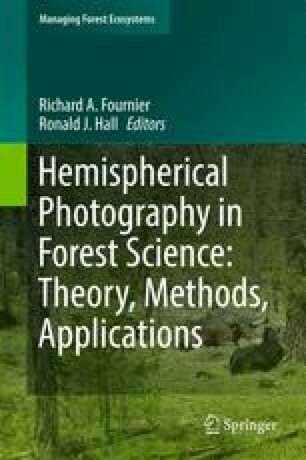 The purpose of this chapter is to summarize the key messages from each chapter of the book and the rationale for using hemispherical photography (HP) in the discipline of forest ecology. The chapters describing the theory and methods presented the state of the science and the opportunities for developing applications to forestry and natural resources, as well as helping to identify limitations that require further investigation. This chapter also provides a literature review that expands the topic of applications beyond those already covered in Chaps. 8 and 9. Forest ecology, like many other fields, has a rich pool of published studies that illustrate the applications of HP technology. By understanding the relevant theory and methods for acquiring and analyzing hemispherical photographs, the book provides a fundamental basis for new users to understand the published material, from which to plan and undertake their own studies. The realization of this book took many years, from the original idea to its publication. Such a project relies on the good will of those passionate enough to volunteer their time and effort toward scientific issues they value. We observed that it was difficult to ask scientists to participate actively in a book when their scientific contribution was based mainly on articles published in peer-reviewed journals. We are therefore grateful to all of those who decided to prioritize their commitment to a book and who kept their word to the end. We wish to mention the important contribution of two English editors, Catherine A. Brown from the Centre d’Applications et de Recherches en Télédétection (CARTEL) at the Université de Sherbrooke, Canada, and William Parsons from the Centre d’étude de la forêt in Québec, Canada. Both supported the authors to improve their text and to ensure the book was uniform among most all chapters. We are grateful for funding support from CARTEL. We are also indebted to all the reviewers, whose names are listed below. Their contribution made a great difference to the quality of the book. Finally, we wish to extend our appreciation to all authors, who demonstrated their passion for this field and its scientific advancement. Reviewers in alphabetical order: David Coates, Phil Comeau, Richard Fournier, Gordon Frazer, Alemu Gonsamo, Ron Hall, Chris Hopkinson, Sylvain Leblanc, Michael Leuchner, Daniel Mailly, Craig Macfarlane, Paul Osmond, Alain Paquette, Paul Rich, Kamel Soudani, and Jean-Michel Walter.